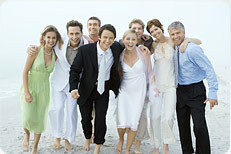 Planning a family reunion, getaway with friends or destination wedding? With our extensive network of over 80 airline partners serving over 1000 destinations worldwide destinations worldwide, Air by Pleasant offers your group unmatched flexibility and value, anywhere in the world you want to go. Our specialists will arrange your group's air travel and offer you substantial savings.